Persistent sense of boredom creeping in? Worried about our collapsing infrastructure? 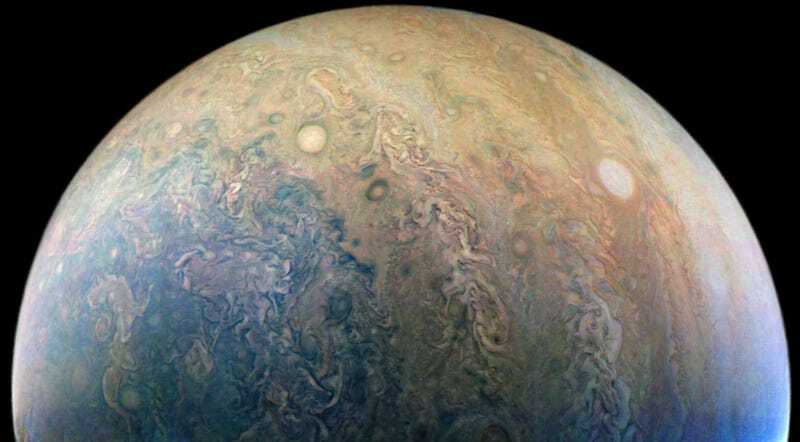 Let me momentarily ease your problems by presenting some lovely images of Jupiter. They won’t resolve anything in particular, but they just might comfort you in getting through the day without shouting into a stranger’s face or kicking over a traffic cone. 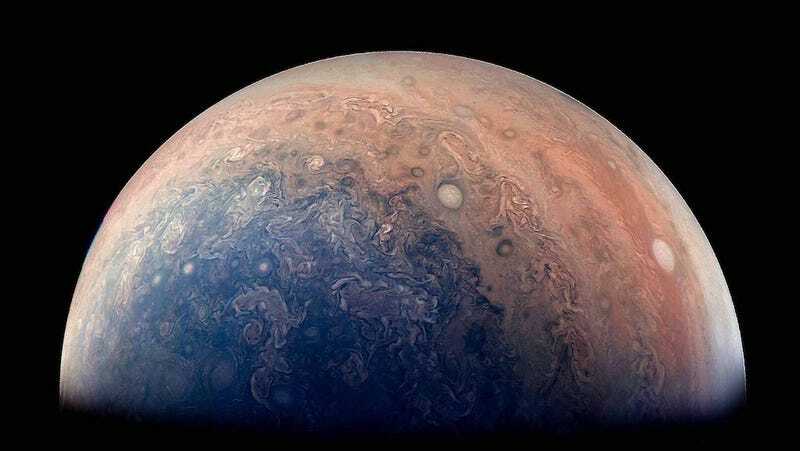 The spectacular, enhanced-color image of Jupiter, included in a news release by NASA today, is centered on a photo of Jupiter’s South Pole taken by the Juno spacecraft. 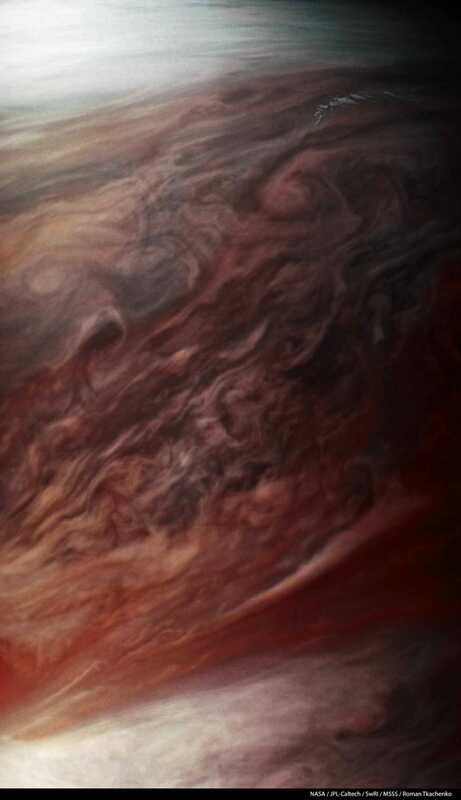 Juno’s citizen science camera has been capturing magnificent images of the gas giant ever since it reached in orbit around Jupiter last July. 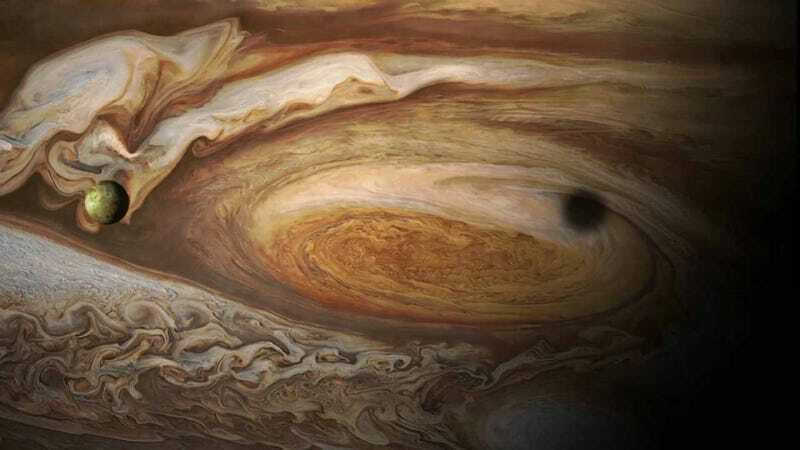 The images are then shared the public, which has been turning them into even more brilliant work of space art.